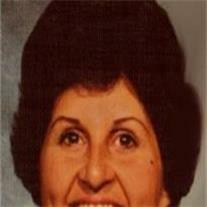 Pamalee Clair Poor Mann, age 70, peacefully returned to her Heavenly Father the morning of Saturday, February 12, 2011. She lived a full life dedicated to the service of her family and others. She is adored by her husband William Ronald Mann along with her children Rick and Carrie Merrill, Hal and Melissa Koozer, Bob and Amy Lindquist, Christy Mann, Ken and Phoebe Morris, David and Sarah Sheperd, Brooks Mann (deceased), Amos and Hillary Abplanalp, Charles and Robin Mann and her loving grandchildren and great-grandchildren. Services will be held on Saturday, February 19, 2011 in the LDS chapel located at 3920 N 44th Pl, Phoenix, AZ 85018. A viewing will be held at 10AM with the funeral service at 11AM. Funeral arrangements provided by Bunker’s Garden Chapel. Flowers and donations can be sent to the funeral home; 33 N. Centennial Way, Mesa, AZ, 85201.